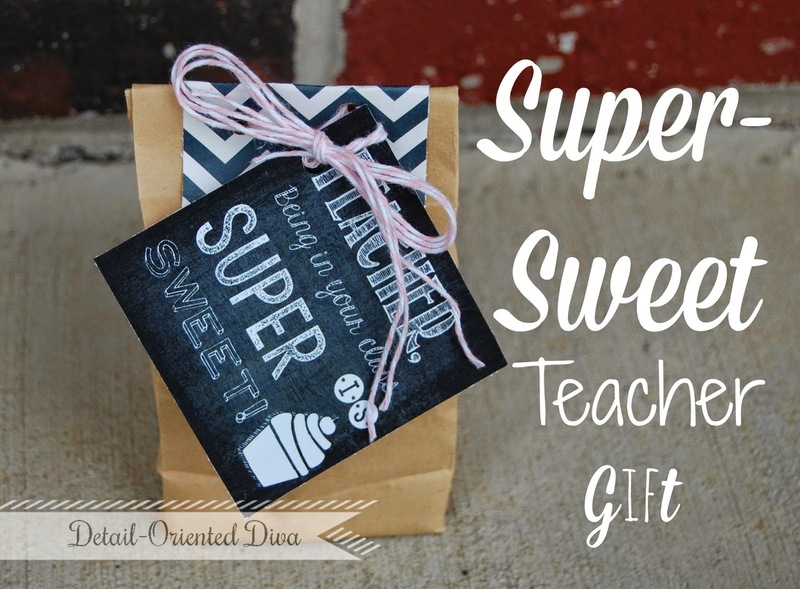 Are you all ready for another teacher gift? Well, ready or not, here it comes. 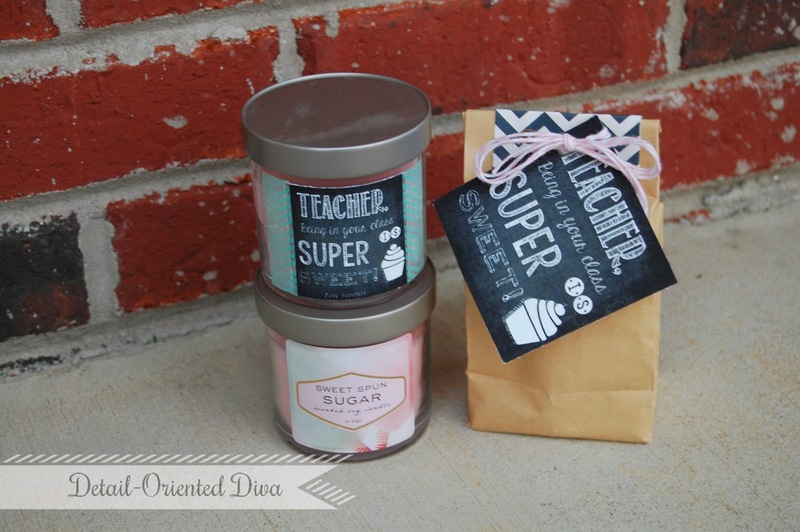 I came across these Sweet Spun Sugar candles at Target and thought that they would make a great inexpensive teacher gift. They smell all sorts of yummy, so I thought I would make up a little printable tag in chalkboard graphic style to finish them off. Most of the fonts that I used were Kimberly Geswein free fonts. I love all of her fonts and dingbats! I attached the card with washi tape to my candle jar. I then dressed up a paper bag with some scrapbook paper and baker's twine. Of course, you don't have to use a candle like this one. 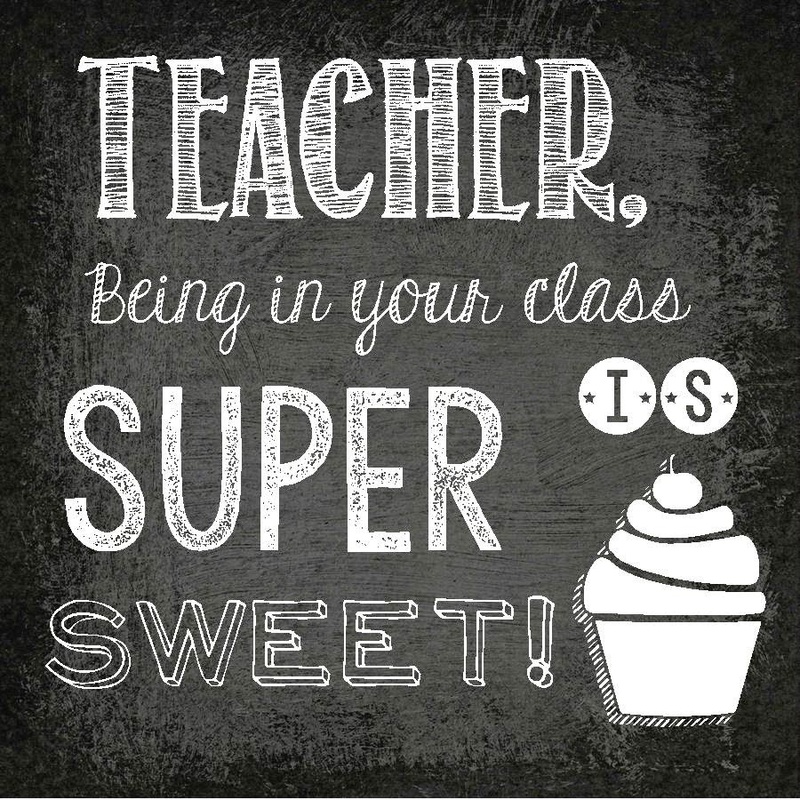 A sweet treat or some candy would also fit well with this free printable card. Printable link for blog subscribers here.